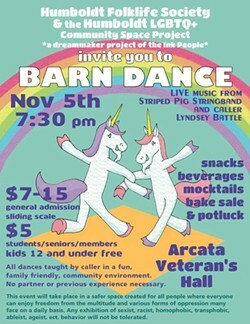 Live music by Striped Pig Stringband and caller Lyndsey Battle. All dances taught by caller in fun, family friendly environment. No partner or experience necessary. 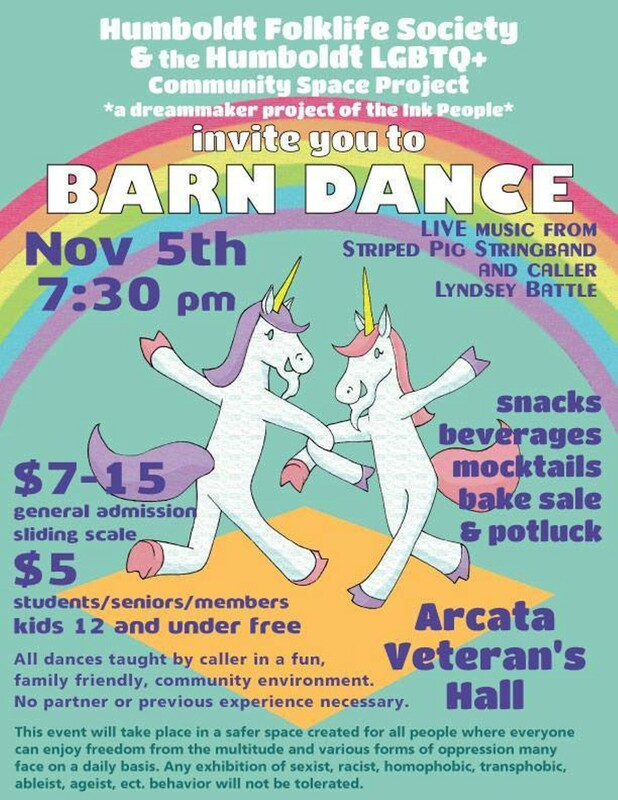 Hosted by Humboldt LGBTQ+ Community Space Project and Humboldt Folklife Society.